Toddler room decor - How to make it special! How To Make It Special! Kids Safety-should always be the single most important consideration when decorating toddler's room. As a parent, deciding which direction to go when it comes to toddler room decor can be a real challenge! It is important that you learn how to make it special! Children, like adults, have a wide range of interests, likes, and dislikes. They are creative, and hold to a high level of imagination and play. 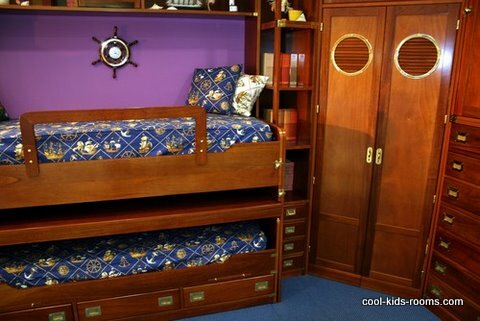 They deserve their own space, decorated in a way that is attractive and naturally appealing to their age group. In this guide, you will be introduced to ideas on room decor for the toddler in your life - so you can learn exactly how to make it special for your child! 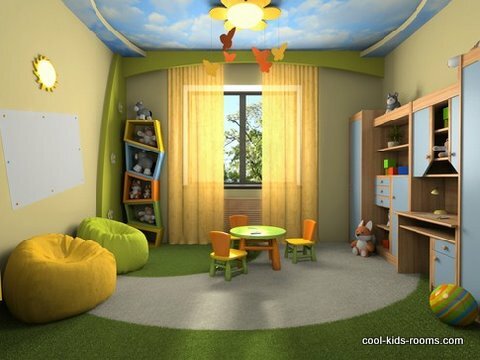 The first thing that you should consider when it comes todecorating a room for your child is kids safety. Toddlers are naturally inquisitive and fast paced. It is important that their bedroom space is customized in such a way that they can enjoy experiencing the milestones of their life without jeopardizing their health and safety. You may choose to implement the use of outlet covers. You may elect to place lighting in the room that attaches to the ceiling or the wall in order to avoid the possibility of lamps tumbling over. You may place locks on the windows of the room. You may choose to do all of these things and more! Safety should always be the single most important consideration. The next thing that you should consider when it comes to toddler room decor is the interests of your child. The room should be suited for toddler activities. 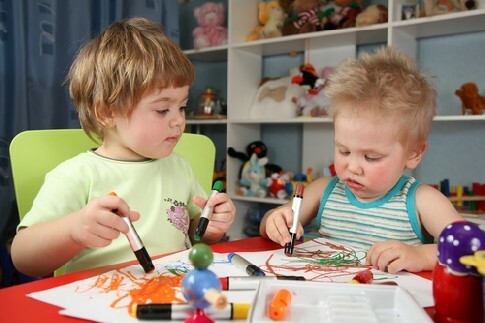 Toddlers typically enjoy activities like playing, pretending to play house or that they have a fort, coloring, crafts, and other types of arts and crafts activities. 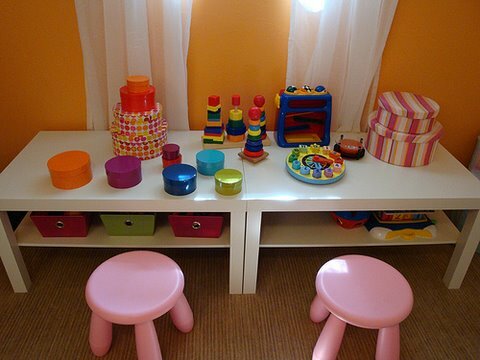 By considering the activities that your child likes, you can make room for them and even obtain theme ideas from them. It is common for a parent of a small child to invest in toddler beds. The bed is most often the center point of every bedroom. If you want to invest in a toddler bed, it is important that you consider budgeting for one that can transition into a larger bed as the child grows. 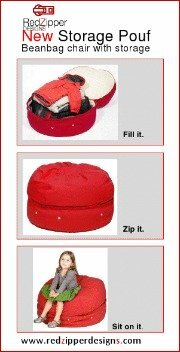 This is the most economic solution to ensuring that you have the furniture that you need in the room, when you need it the most. The next item of interest when it comes to a room that is designed specifically for a toddler is the location of the room. If you have a young child, it is important to ensure that the location is close to your room. Children frighten easily, and have needs that often need tended to. If you are close, you may assist them with their restroom responsibilities, or that glass of water that they need. The next thing that you need to consider when it comes to toddler room decor is the theme that you will incorporate. It is absolutely essential that you allow your toddler to help you in the decision making process on this if they are old enough. If they cannot communicate their wants or likes to you, consider things that they enjoy. A little boy may enjoy looking at trains, and a little girl may really enjoy Dora the Explorer. 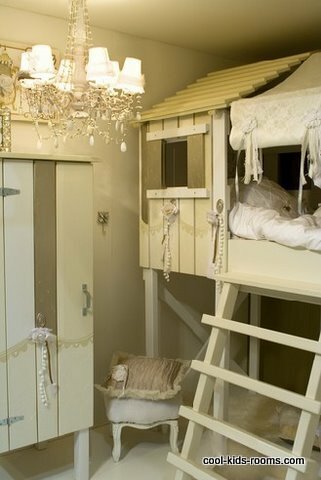 It is important to understand that theme is extremely important when it comes to toddler rooms. First, you must focus on kids safety. Once you have taken the proper steps to ensure that, you should consider how to focus the decoration towards toddler activities. 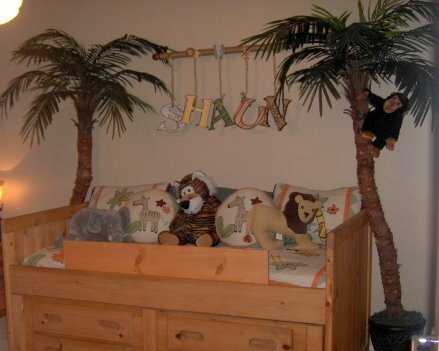 Then, of course, it is important to choose a toddler bed and consider the location of the room. Once all of this is established, you can successfully integrate the theme that you want to incorporate. Taking these toddler room decor steps will help you learn how to make your child's room very special!